In five to ten years from now, someone reading this post may meet a little boy named "Django." Now, please don't assume that this future boy's mother got this name from the current film by Quentin Tarantino, Django Unchained. The choice for this name may be for various other reasons, which has nothing to do with film [Yeah, right]. Side-note: Something inside prevents me from seeing Django Unchained, but I'll probably end up seeing the film. 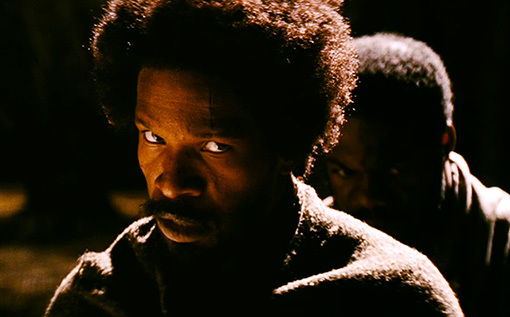 For example, the name, Django, is a Romany term meaning, I awake. It is best known as the nickname of Belgian jazz guitarist, Jean Baptiste "Django" Reinhardt, whose fame has led to its use throughout music. Django is also the name of a web development framework. So, you see, the mother may be a fan of the famed guitarist, Django Reinhardt [Yeah, right]. Or, maybe she is a fan of Sean Penn, who portrayed a musician that admired Django Reinhardt in the Woody Allen film, Sweet and Lowdown [Yeah, right]. Nevertheless, cut the future boy some slack. Django can be a hard name to live down. Oh yes, and please remember that the "D" is silent. Sources: Baby Name Wizard. N.p.. Web. 12 Jan 2013. ."Django Unchained." IMDB. N.p.. Web. 12 Jan 2013. .Image source: The Weinstein Company, . 'Django Unchained' isn't the only film about American slavery, but it's close. 2013. Pop WatchWeb. 12 Jan 2013. .
Django is actually a cool name and it has a meaning. Thanks always, GG!